A wonderful spacious covered front porch greets you as you enter this UPDATED raised ranch on a quiet residential street. Beautiful freshly refinished original hardwood flooring flows throughout the entire main level. Updates in the fully equipped kitchen include new flooring and all brand new stainless steel appliances. 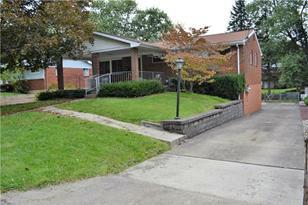 All three bedrooms are conveniently located on the main entry level, with a full bathroom. The second full bath on the lower level has been fully updated. The huge lower level boasts TONS of finished space--a large family room, a cozy den (or possible 4th bedroom) and a light-filled, fully enclosed three season room that leads to a fabulous level backyard. Plenty of room in this large yard for a great garden, or even a pool! The integral garage houses one vehicle, but the driveway and rear parking area allow for at least three more cars! 623 Snowball Road, Monroeville, PA 15146 (MLS# 1365074) is a Single Family property that was sold at $129,900 on April 19, 2019. Want to learn more about 623 Snowball Road? Do you have questions about finding other Single Family real estate for sale in Monroeville? You can browse all Monroeville real estate or contact a Coldwell Banker agent to request more information.